Ready To Reset Your Mindset LIVE? VisionCon 2019 is right around the corner! We've lined up the best speakers, amazing food + drinks AND the best group of goal getters all in one room. Sign up for insider access and exclusive deals! WooHoo! 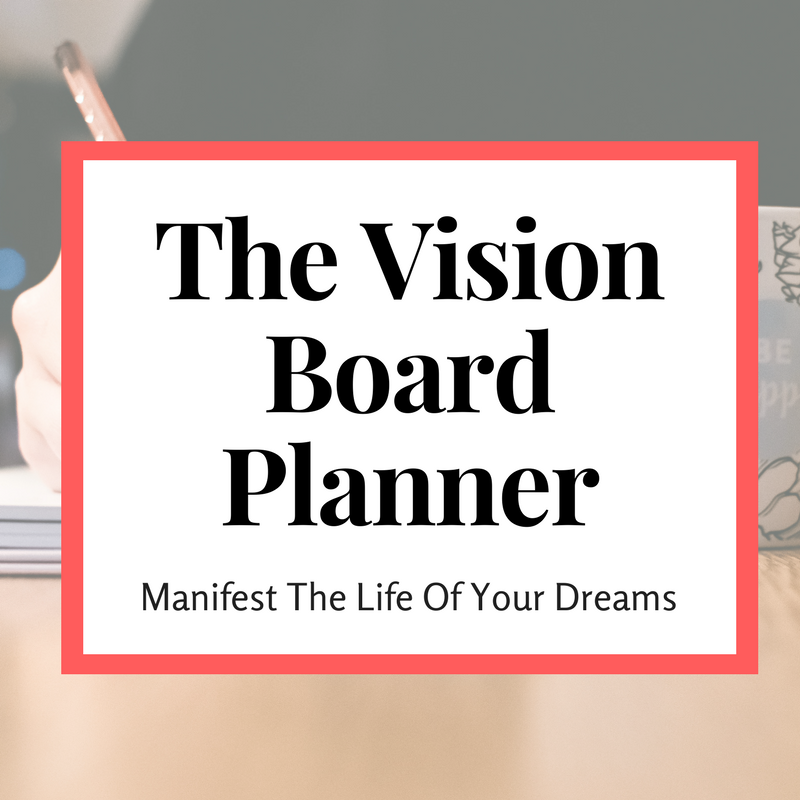 Thanks for signing up for the VisionCon 2019 email list. Hope to see you there! Are You Trying To Do Everything And Getting Nowhere? You want to start your life over, go back to school, write your first book - or drop everything and start an online business. But somehow you always end up too busy to make any real progress. Slowly you inch towards your goals hoping that you'll get more time one day. When my kids get older, I'll have time. When I finish these classes, I'll have time. When I have more money, I'll have time. When I retire, I'll have time. With the demands of life on your shoulders you have too much to do to create the time you need to build your dream life. So you keep pushing your dreams back, waiting for some magical later date where the time frees up. Delicious living coach and VisionCon speaker, Adama Hamadi works with entrepreneurs and side hustlers to set essential boundaries around their time and energy. You’re tired of feeling overworked and underappreciated. With my job taking up 8 hours of my day, and 3 hours with my daughter - my days can easily become a land that doesn’t feel like my own. It’s not uncommon to feel overworked and underappreciated (especially when you have an 11-year-old that doesn’t seem to notice you exist unless they want something). You’ve spent too much time helping other people build their dreams. That feeling you get when you know that you started work at 6AM and now it’s 7PM and you’re still at work. Those days where you know you’ve spent your time lining someone else’s pockets and helping to build someone else’s empire while your dreams, your goals are on the back burner. You know it’s time to get out of your own way and demand more from life. Do you have that nagging feeling that it really is time for you to break out of your shell and do something? You’re a type A achiever that people know they can count on. Are you that person that everyone is calling? My mom needs help building a website, my sister is raising money for a trip with her dance group to Africa, my auntie needs help researching products for her new business. Where in the world is my “me-time” when I’m doing all that? You barely have time to breathe, much less work on your passion projects. Are life’s never-ending demands keeping you away from that business, book or adventure you want to create? You envy women that can do whatever they want, whenever they want. Are you looking around at your friends who are working from home, building their business or writing their books and wondering, where are they finding the time to do that? Or… I wish I could do that! You’ve thought “I’m always neglecting myself and putting other people’s dreams before mine” more times than you can count. If you’ve ever thought this or said this, it’s time for a mindset reset my friend. VisionCon speaker, Adama Hamadi, says that time management has little to do with TIME and everything to do with managing your inner critic. Stop signing up for struggle. To turn off autopilot so you can be more deliberate and design a life that feels good. The fact is “You have a say in how you spend your life, so why would you play the victim when you can play the creator” says Adama. If you want to take control of your time, you have to give yourself permission to prioritize your wants, your needs and your goals. It all starts with a mindset of self-prioritization and intention. That’s where you can start creating that life you want. 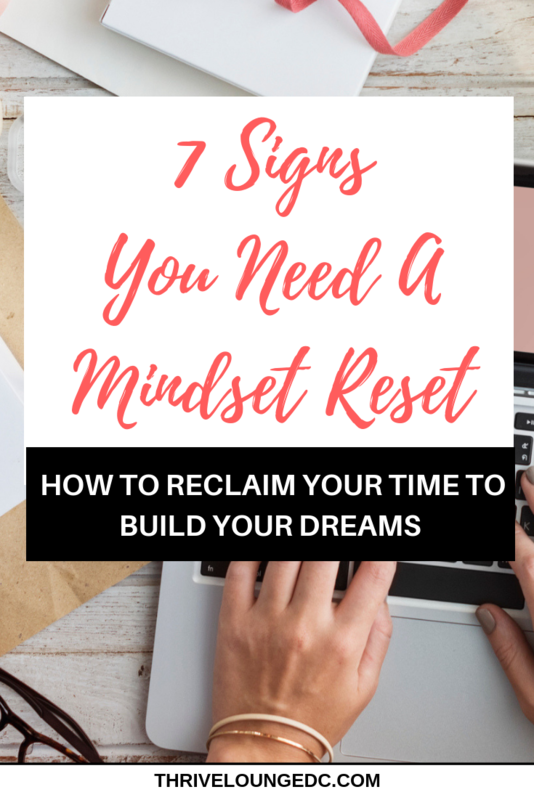 Ready To Reset Your Mindset? Get started on your mindset reset with The FREE Mindset Reflection Checklist. Join us LIVE at VisionCon 2019 in Washington, DC to start designing your life intentionally based on what matters most. Ready For A Minsdet Reset? Congrats on taking the first step to reset your mindset! Check your email to download the checklist.